The Institute for Higher Living is a concierge psychiatry practice in Atlanta focused on helping our clients through specialized care. Starting with an accurate diagnosis and following through with proper treatment, we work together with out clients to reach their goals to live a better life. Our philosophy is based on a concept of achieving balance in health, wellness and spirituality. Our treatment setting insures confidentiality and fosters personal growth and awareness to achieve success. As a top psychiatrist in Atlanta, Dr. Tascarella founded The Institute for Higher Living to help people live a better life based on their individual needs. He has developed innovative approaches to accurately diagnosing and properly treating a host of behavioral health conditions. These unique diagnostic and treatment algorithms have been developed over the last 25 years through independent research and careful analysis of compiled data. 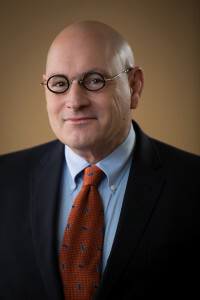 David W. Tascarella, M.D. is a board certified psychiatrist who has dedicated his life to behavioral healthcare. Desiring to help people achieve their dreams, Dr. Tascarella opened up his own practice to offer a more thorough evaluation process, genuine care, and individualized treatment plans so his clients could reach their goals and maintain their health and happiness. He has been designated as a National Thought Leader in Psychiatry as a result of his contributions towards advancing the diagnosis and treatment of behavioral health disorders. Dr. Tascarella has developed revolutionary diagnostic and treatment protocols: 80-90% of those he treats for alcoholism/addiction succeed in long term recovery utilizing his unique outpatient approaches. His expertise allows for accurate diagnoses of behavioral and medical conditions that are very often missed by other providers. All too often, someone is referred for evaluation of a behavioral health issue which ultimately turns out to be medical in origin, although, it presents itself with behavioral signs and symptoms. Dr. Tascarella has made significant contributions towards the prevailing body of knowledge with regards to the diagnosis and treatment of ADD/ADHD, eating disorders, substance abuse/dependence, mood disorders, anxiety disorders, bipolar disorders, and sleep disorders. One of Dr. Tascarella’s patient’s, Kevin Patrick, wrote “No Way to be Treated,” a book inspired by his many failed treatments which lead up to his successful treatment under Dr. Tascarella’s care. Dr. Tascarella was honored by Kevin’s requesting him to write the Foreword to the book, being included in the acknowledgements and referenced in the book.